Intermittent streams - have flowing water periods during the wet season (winter-spring) but are normally dry during hot summer months. Intermittent streams do not have continuous flowing water year-round and are not "relatively permanent waters." Ephemeral streams - have less flow than intermittent streams, are typically shallow, and have flowing water for brief periods in response to rainfall. Ephemeral streams and ditches are normally dry for most of the year. 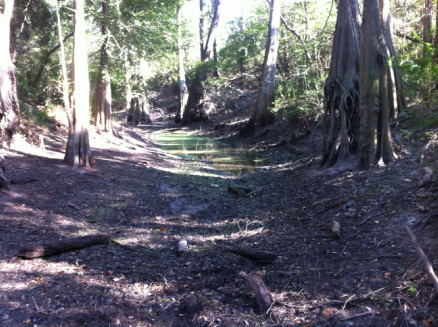 Most of the inland ditches and streams within the greater Houston area have the flow characteristics of an ephemeral stream. Since 2011, rainfall has been below normal and this has caused many local streams and ditches to exhibit well-defined ephemeral characteristics. Despite the Rapanos decision, the EPA and Corps of Engineers have resisted the Supreme Court and continue to assert regulatory jurisdiction over intermittent and ephemeral streams based on unofficial and controversial definitions of regulatory parameters such as "significant nexus." 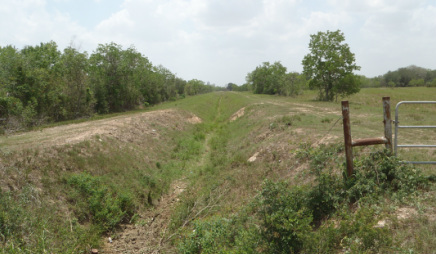 In May 2013, the Corps of Engineers - Galveston District, issued the latest version of its Stream Assessment Standard Operating Procedure (SOP) which attempts to regulate intermittent and ephemeral streams. Unfortunately, this SOP conflicts with the plain language of the U. S. Supreme Court. Because of this on-going legal conflict, the Corps only asserts jurisdiction on a case-by-case basis, and the Corps does not assert jurisdiction over all intermittent and ephemeral streams. In March 2013, the Corps withdrew its assertion of jurisdiction over an ephemeral stream (arroyo) in New Mexico after the Pacific Legal Foundation filed a lawsuit on behalf of the landowner - Smith v Corps of Engineers. Landowners should not rely on the Corps, but instead should obtain an independent Jurisdictional Determination in order to properly evaluate and document the regulatory status of intermittent and ephemeral streams on their property. Dry ephemeral stream in Harris County which has not been maintained. In this condition there may be confusion about whether this stream is regulated. Ephemeral streams should be cleaned and maintained to re-establish original dimensions and drainage function, and thereby avoid confusion about the regulatory status. Typical intermittent stream with a pocket of standing water. This stream has flowing water during the wet season (winter-spring) and dries up during the hot summer months. Intermittent streams are "wetter" than ephemeral streams but are not considered "relatively permanent waters."